New Delhi, Aug 8 (PTI) Former India coach Vimal Kumar feels that Kidambi Srikanth and HS Prannoy need to have an alternative plan when put under pressure if they want to win medals at the upcoming Asian Games in Indonesia. 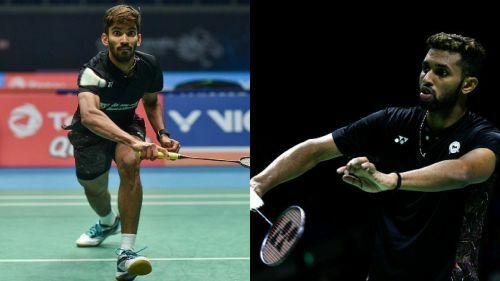 Srikanth lost in straight games to ageing Malaysian Daren Liew, while Prannoy went down to unheralded Igor Coelho of Brazil to crash out of the World Championship at the pre-quarterfinal stage. "I am really disappointed with Srikanth and Prannoy. They need to find the consistency. You need to play differently when something doesn't work. They are not being able to do that. Both of them are attacking players and when things go differently, they are not able to cope. That have to make that adjustment," Kumar told PTI during an interaction. What has disappointed Kumar is the fact that Srikanth couldn't capitalize on Lee Chong Wei's absence from the World Championship. "Srikanth should have capitalized as Chong Wei's pulling out opened the bottom half of the draw. Liew didn't have any big result. Sometimes, you can take a game from a top player but he is not of the same level as Prannoy or Srikanth. So it was not a good result for Srikanth," the former national coach was frank in his assessment. "But anything can happen at the Asian Games, because the top level badminton players play with such indifferent form, no one is playing anything special except Momota." The 55-year-old Kumar, who had guided Saina Nehwal to world No. 1 during his three years stint with her, said the standard of men's singles was very poor at the World Championship and with little more consistency, Indian shuttlers can do well at Asian Games. "Overall, if you look at the standard in men's singles, there was no one special apart from (Kento) Momota. After Lee Chong Wei and Lin Dan, this man is taking badminton to another level. He (Momota) was literally toying with everybody, he is able to play both attacking and defensive and he has good deceptive strokes," he said. "Otherwise, it was boring to watch men's singles. There were no constructive rallies, there were no quality matches this time. But definitely, Momota is the most exciting player in the world now. Nobody troubled him. He has the game to dominate the likes of Chong Wei and Lin Dan." While the men's singles players disappointed, PV Sindhu clinched her second silver at the World Championship after losing another major final to Olympic champion Carolina Marin. "It was disappointing and I know it really hurts when you lose at that level. I can put it this way as a coach, she shouldn't weigh too much into that. She has to get rid of all the negativity, she is still young and she will definitely win the World Championship," said the two-time former French Open champion. "It comes every year and she will be able to do that. She shouldn't worry. She needs to just forget it and now Asian Games is coming back and the other girls would be there." He was otherwise impressed with Sindhu's overall game during the event. "I feel she employed deceptive half smashes, using a lot of back of the court drops, straight and cross drops and she was ready for those girls who employ slow drops. She was taking those early and did upset Okuhara and Yamaguchi and I think she did well," he said.